This vibrant show takes place on Discovery River at Disney's Animal Kingdom Theme Park, between Discovery Island and Expedition Everest. Live music and performers, floating lanterns, water screens, and swirling animal imagery are all used during the performance to showcase the beauty of all living things. The show begins as the storyteller hosts set out from the river banks on intricately-detailed, lantern-adorned boats for a breathtaking dance combining water and light to summon the spirits of the animals. This display boasts a celebratory combination of song, light, and color with a grand finale so glorious that you are sure to feel a sense of "peace and oneness with nature." NOTE: A dining package is available for this show! When you book lunch or dinner at Tiffins, you will receive a voucher for reserved seating to that evening's show with the purchase of your meal. IMPORTANT: Be sure to specify that you want the dining package when you book your advanced dining reservation. 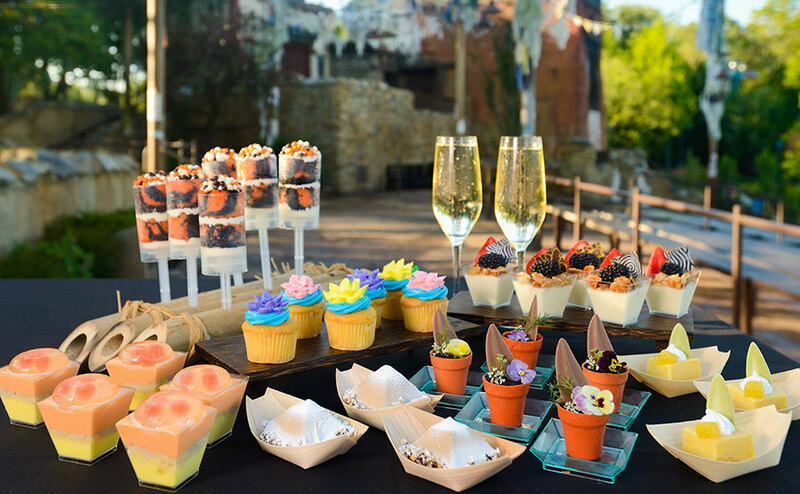 Guests can enjoy a sweet ending to their day by with an array of Disney’s Animal Kingdom-themed, house-made desserts, snacks, and specialty alcoholic and non-alcoholic beverages before enjoying a VIP view of Rivers of Light. Check-in for the party will begin 60-minutes prior to the main show (8:15 p.m. for a 9:15 p.m. show) at the Rivers of Light Asia Viewing Area Terrace located across from Expedition Everest. When the show is just about to begin, guests will head to the VIP Seating Area. Price is $79 for adults and $47 for children (including tax) and payment in full is required at the time of booking. This experience takes place on select nights and reservations can be made by visiting the Walt Disney World website or by calling (407) WDW-DINE. Guests must be at least 21 years of age or older and able to present a valid form of ID to consume alcoholic beverages.